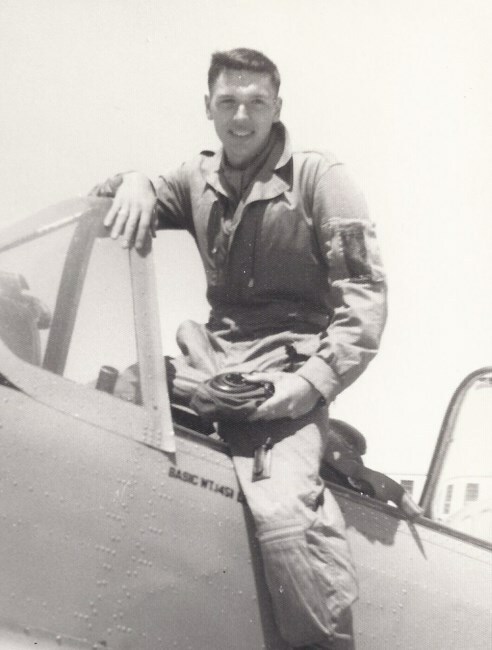 Lawrence D. McPhail slipped the surly bonds of earth on Tuesday, April 2, 2019, just shy of his 80th birthday. LD was born in Chatham, Ontario, Canada on April 14, 1939 to the late George Harold and Bernice Ilene (nee’ Lee) McPhail. LD was a standout athlete and cadet at the Royal Military College of Canada in Kingston, Ontario, where he lettered in and captained three varsity sports: football, hockey, and basketball. In recognition of his service to the College, he was made D/CSL of Hudson Squadron and he proudly pointed out his name on the athletes’ honor board at every ex-Cadet weekend. He remained friends with many of his fellow cadets for the rest of his life. While at RMC, he met and fell in love with Pamela Wakeling, marrying shortly after his graduation. Together they faced their early years as a military family moving to various parts of Canada, including the small prairie city of Moosejaw, Saskatchewan, where their son Lawrence E. was born, and RCAF Station Winnipeg where their daughter Natalie B. was born. After some consideration of playing professional hockey for the New York Rangers, LD left the RCAF to pursue his love of flying as a commercial pilot with American Airlines. The McPhails settled in Lake Mohawk where they raised their family. LD loved being a pilot, often remarking that he never worked a day in his life, saying he could not believe they paid him to fly. LD retired as Captain in 1999 after 33 years of safe takeoffs and smooth landings. He was a past president of the Sparta Tennis Association, a trustee of the Lake Mohawk Country Club, and a past president of Beach 6. LD loved tennis, skiing, hockey, water skiing, and many other activities. LD enjoyed watching the Devils games and especially going to the games with his family. He was a proud member of the Devils Club. LD dearly loved his role as grandfather to Alexandra, Bayleigh, and Hunter, earning his moniker “Cappy” from the eldest. Cappy’s dedication to their every sport, the arts, and their academics was unsurpassed. Cappy became known as the good luck charm to several of their teams and an impeccable statistician. Cappy loved to see the world, and shared his love of travel with his family, including his parents and later his grandchildren. Whether it was flying or driving, he enjoyed each new experience and was always planning the next adventure. Cappy was fiercely loyal and staunchly supportive of his family and friends. He was an eternal optimist and believed the power of positive thinking could overcome all obstacles. LD McPhail was predeceased by his beloved wife, Pamela Wakeling McPhail of 57 years and many beloved family and friends. He is survived by his son Lawrence E. McPhail and his wife Michele, his daughter, Dr. Natalie B. McPhail Takacs and her husband Lou, and his grandchildren Alexandra L., Bayleigh I., and L. Hunter Takacs, IV, and step-grandchildren, Tyler and Max Mueller, his sister Mary Lee McPhail Tennant and her husband William, his sister-in-law Virginia A. Wakeling Morris and her husband and LD’s fellow RMC graduate R. Bruce, six nieces and nephews, Michael Morris, Melanie Morris (Andy Murray), Leeanne (Alfonso) Alonso, Tyler (Jill) Tennant, Sean (Gabrielle) Tennant, and Warren (Deanne) Tennant, and five great nieces and nephews, Spencer Tennant, Antonio Alonso, Miguel Alonso, Riley Tennant, Lindsay Tennant, and Payton Morris. A Celebration of Life Service was held on Monday, April 8, 2019 at 6 o’clock in the evening at Redeemer Lutheran Church, 37 Newton Sparta Road, Newton, NJ. In lieu of flowers, donations in his memory may be made to the good work of the Karen A. Quinlan Hospice which helped to care for his wife, Pamela, with kindness and compassion allowing her to live her last weeks in comfort and with dignity on her terms, giving Cappy peace during a difficult time. LCol Jon Lynn Moffat (retired), resident of Langford B.C. formerly from Calgary passed away Saturday January 26 2019 in Victoria at the age of 80. Lynn was born in Kindersley Saskatchewan on February 9 1938. He had two children, Jon Moffat (Brenda) and Karen Sunderland, and four grandchildren, Jason, Thomas, Emily and Jacob. Lynn taught for the Calgary Catholic School division for over 30 years. During his tenor with the school district is was awarded an Alberta Meritorious Reward for working with teens struggling with substance abuse. Lynn’s greatest joy was serving in the military. He graduated with a BA from Royal Military College in 1961 and was posted to the Second Battalion, The Black Watch, The Royal Highlanders of Canada and was stationed in Germany. Lynn, now a Captain, left the Regular Force in 1964 and joined the Princess Louise Fusilers in Halifax while studying at Dalhousie University to obtain his education degree before moving on to Calgary later in 1965 where he joined the Calgary Highlanders a militia regiment. Lynn was a Calgary Highlander at heart and his service with the regiment spanned over a 40 year period. He had only served the regiment for a few years and promoted to Major in 1967. Now a Lieutenant Colonel his first tour of command of the Regiment was from 1976 – 79 and then had the honour to command the regiment again from 1991-94. During his second tour he was awarded the Officer of Military Merit. After he retired from teaching he was appointed to be the Regimental Secretary of the Calgary Highlanders. Lynn loved playing the bagpipes, he started playing with the Saskatoon Rifle pipe band was the Cadet Band Master while at RMC, and piper for the Calgary Highlander and Calgary City Police Pipe Bands. When he moved to Victoria he joined the legion pipe Band. Lynn met the love of his life Marilyn and they were married for over 30 years. She passed away after a lengthy illness on April 6 2019. 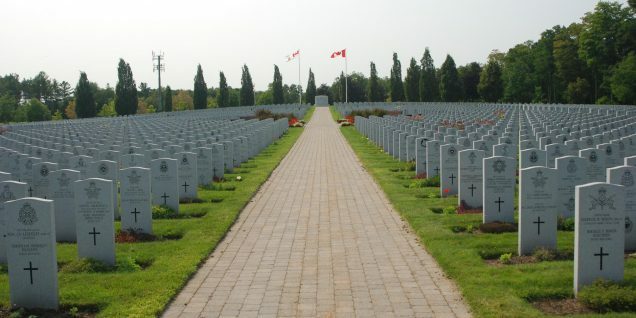 A memorial Service will be held at Mewata Armouries – details to follow. The obit for Lynn was written prior to completion of arrangements. Location: Service to be held outside of The Military Museums entrance. Poor weather means we will move inside the TMM Atrium. I knew Lynn in his Cal Highs days, with occasional contacts when I was serving in Edmonton, and as a fellow bagpiper though we never piped together. An estimable man and a memorable character.